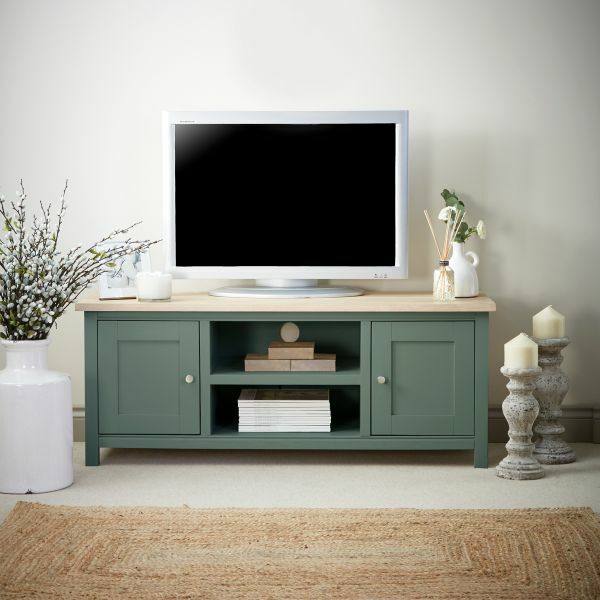 Sophisticated, useful and beautiful, the Rushbury Painted Nest Of Two Tables offers the perfect spot to perch a drink and nibbles while you're watching TV. 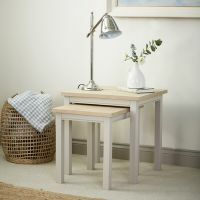 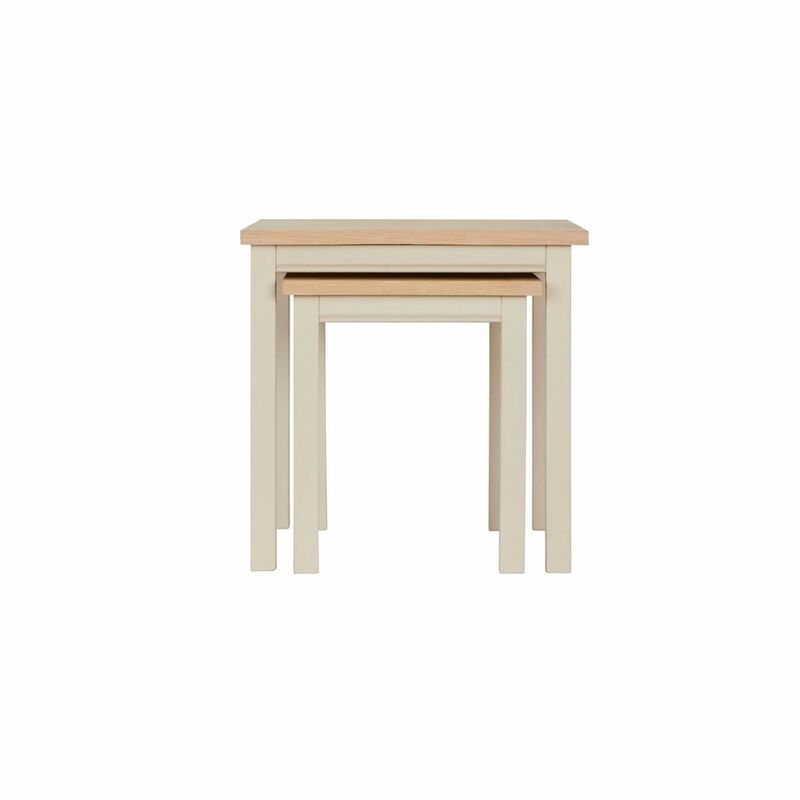 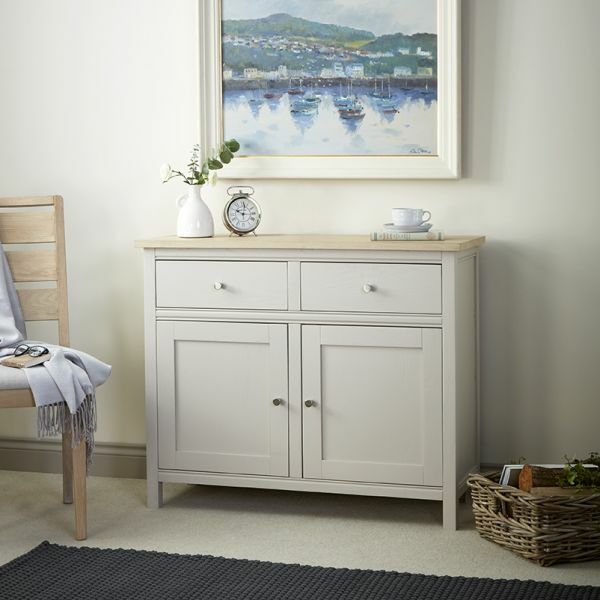 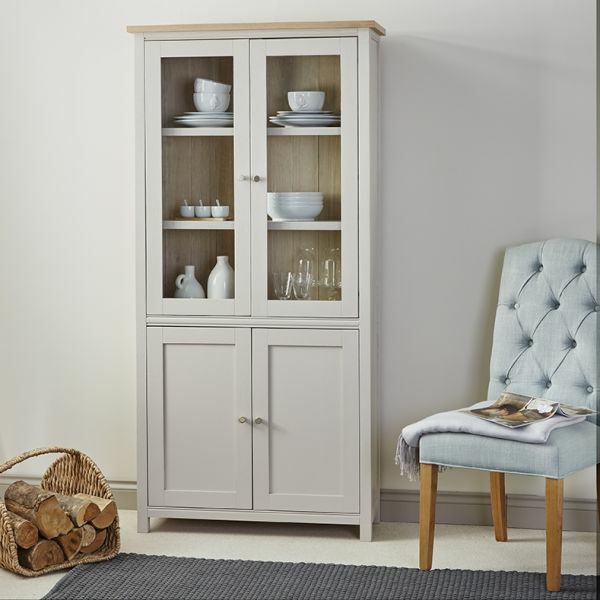 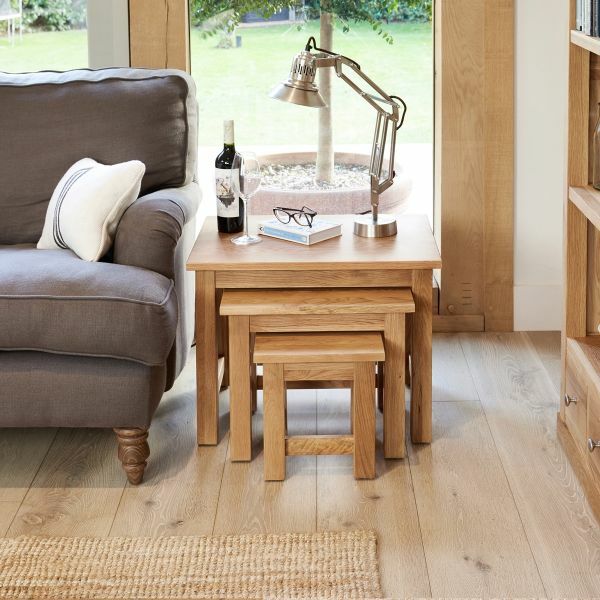 This stunning duo are crafted from oak and easily slot together when not in use. 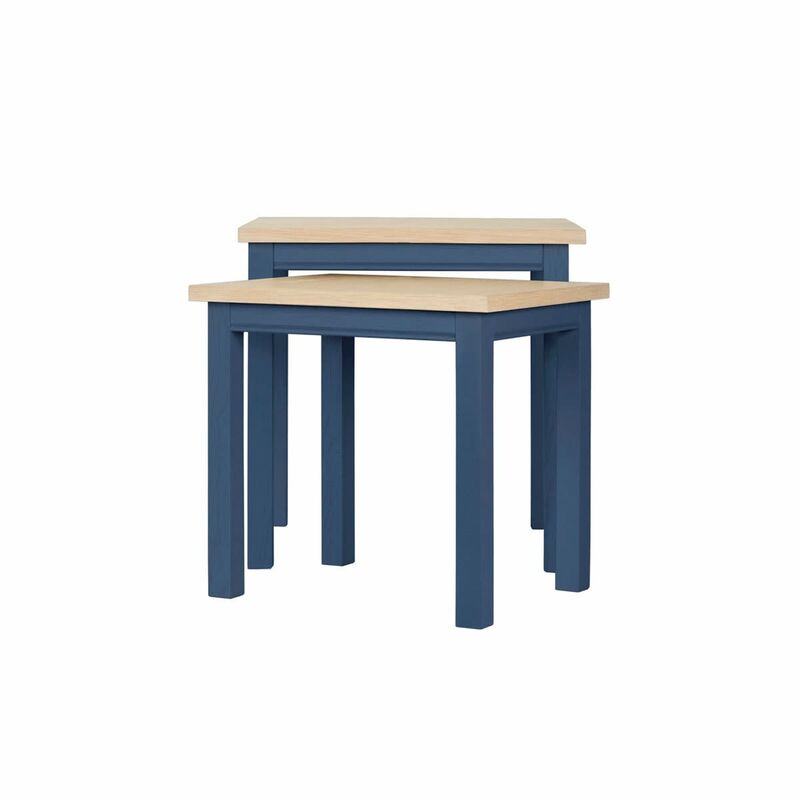 The tables have a contrasting oiled oak top and are available in a choice of six different colourways. 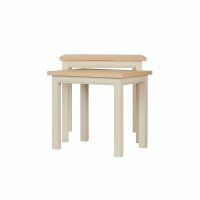 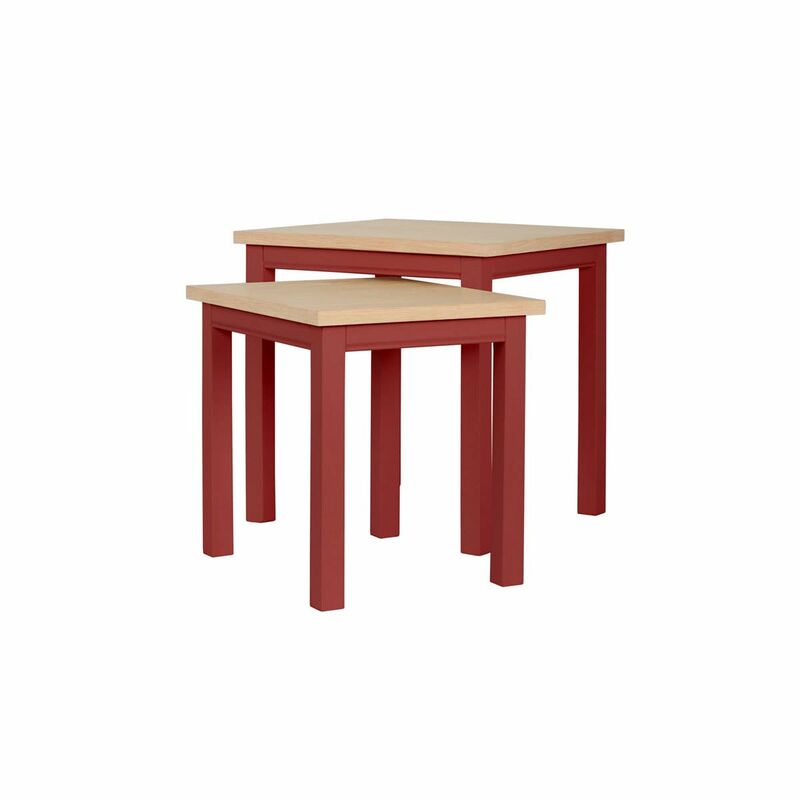 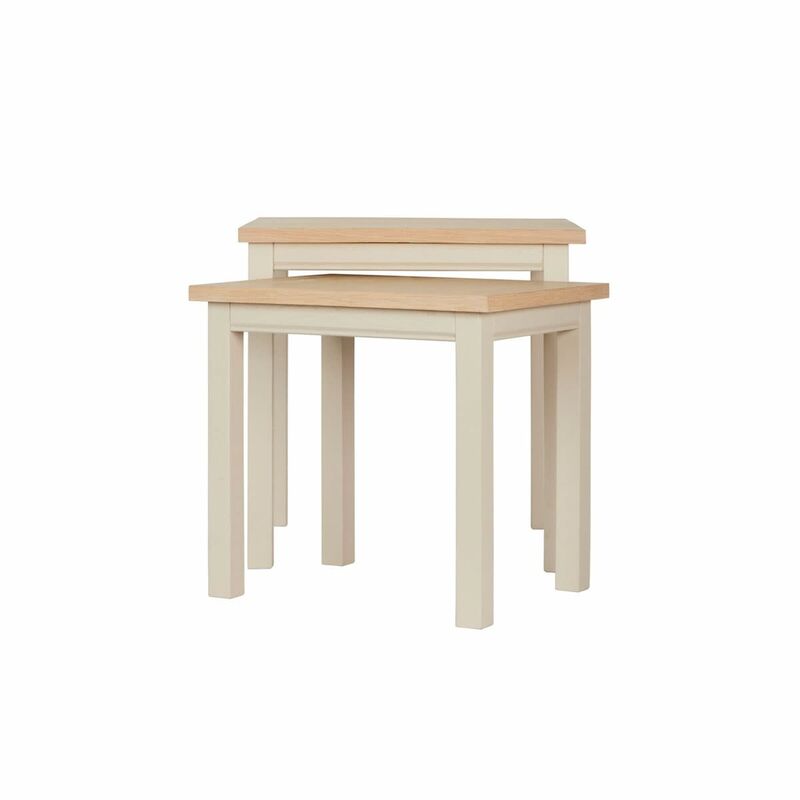 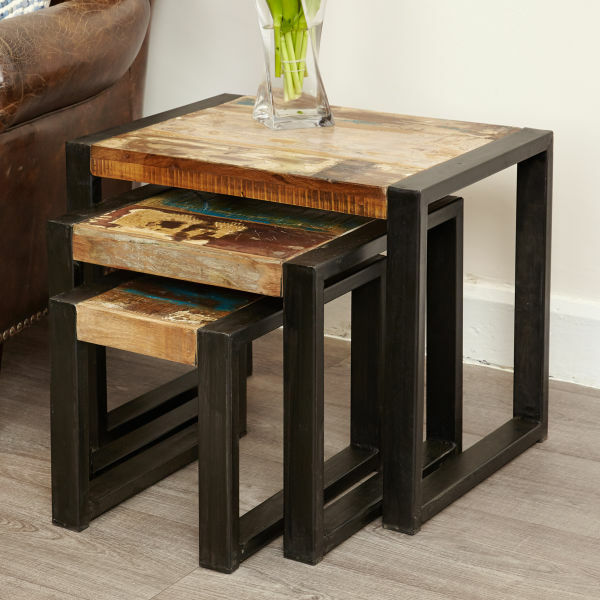 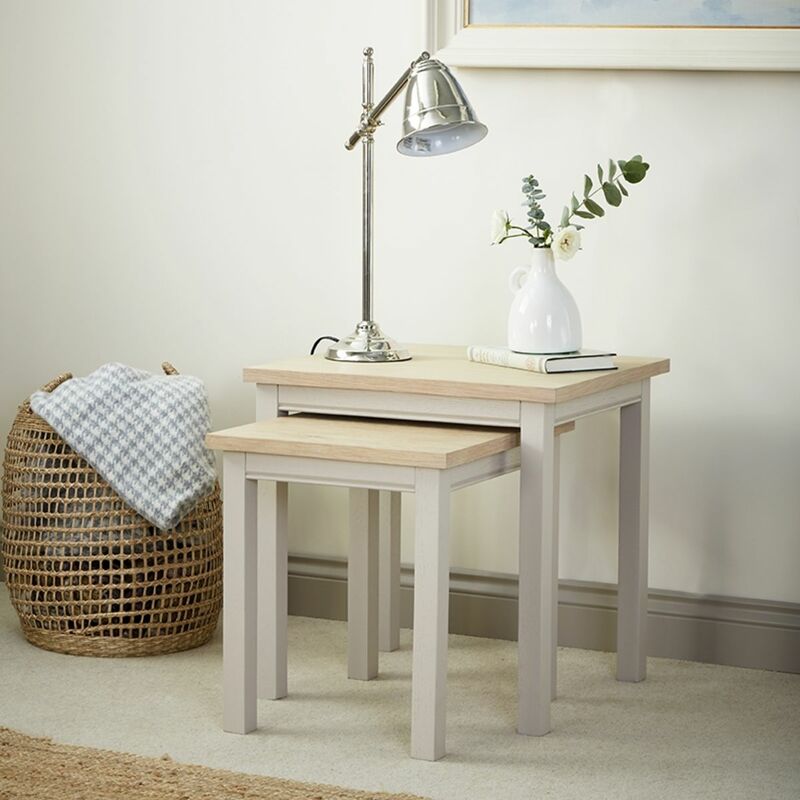 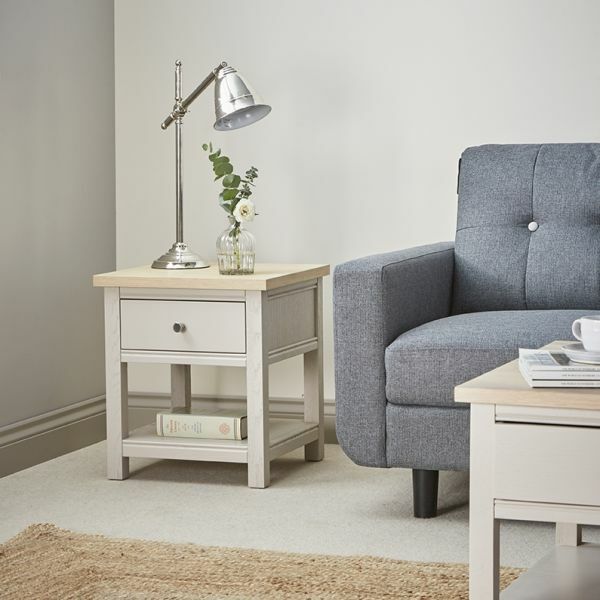 Crafted from oak, with a hand painted finish in a choice of six colour ways, this nest of two tables is made to order, superbly built and is delivered fully assembled within three weeks. 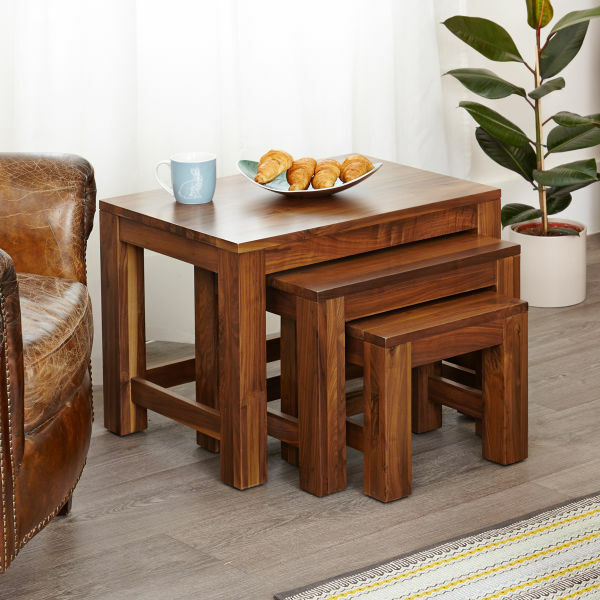 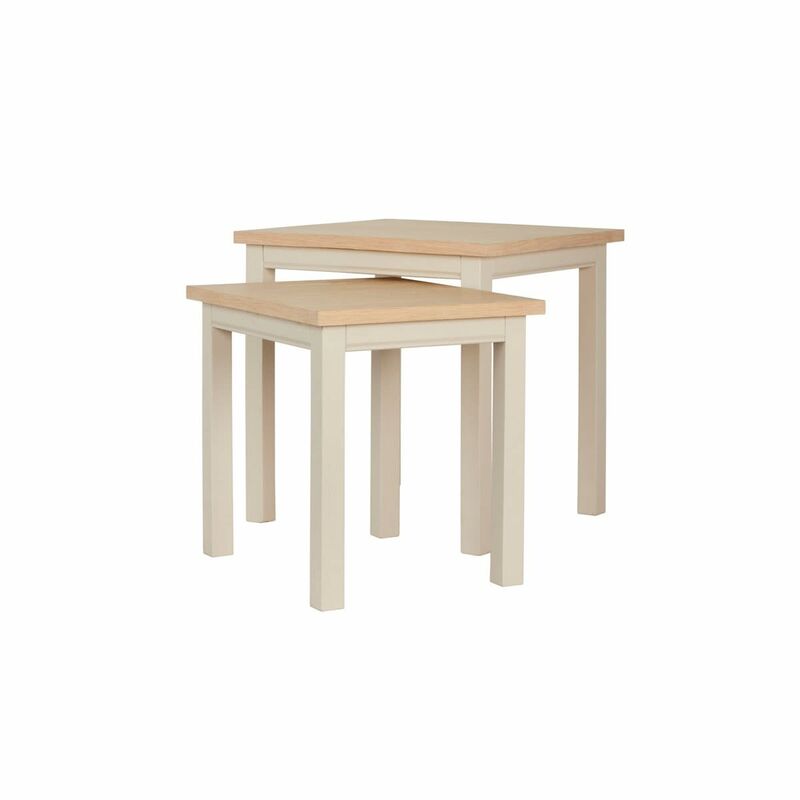 If you're looking for a smart alternative, why not consider one of our best selling Mobel Oak nest of tables?